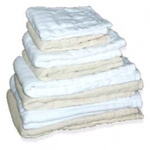 Prefold cloth diapers are simple to use and are very inexpensive. Prefold cloth diapers are the perfect combination of easy to use, durable and economical cloth diapers. All of the prefold diapers I carry are top-quality diaper service quality (DSQ). 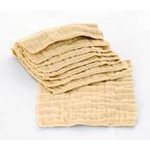 They are absorbent and easy to wash and dry. Prefold cloth diapers are a staple for many cloth diapering parents. 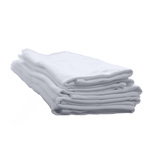 They are easy to use, easy to fold, and they wash and dry easily. You'll also find prefolds in hemp, bamboo and beautiful colors. Prefold cloth diapers do require a cover for waterproofing. You can choose from many different covers. 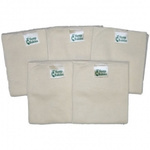 Many families choose wool diaper covers for a natural option.